Kids Summer Haircare | Kids' Hair Inc.
← Styles & Fun Menu! Summer is flying by! While your kids enjoy all the fun summer activities such as going to the beach or pool or just playing outside, make sure to keep their hair healthy and manageable with help from Kids’ Hair! 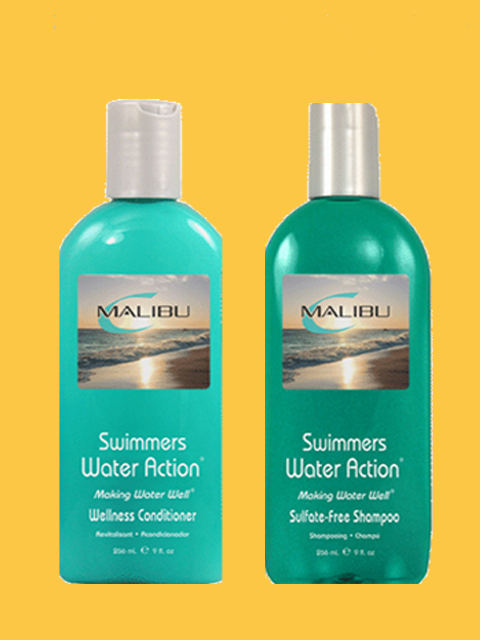 Malibu Swimmers shampoo and conditioner naturally cleanses and protects hair from pool chemicals, minerals and sea salt. Both products are 100% vegan and free of sulfates, parabens and gluten. Use before and after swimming to prevent crunchy, gummy, dull and dry hair. Can be used as a daily shampoo if you are swimming multiple times a week, especially in pools. Circle of Friends George’s swimmers shampoo and Kylie’s pre-swim conditioner. 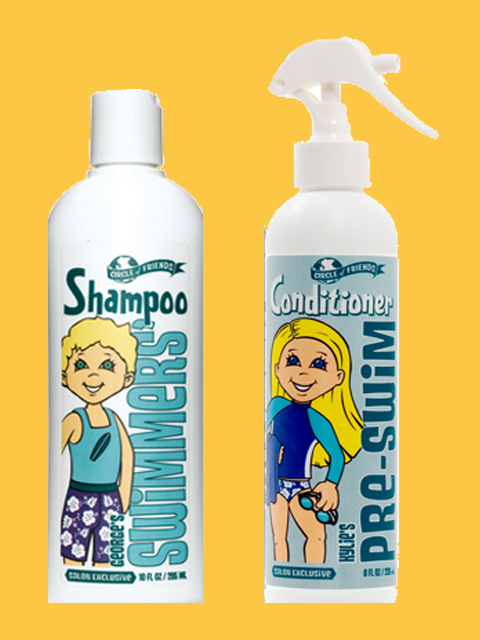 The George’s swimmers shampoo is even more gentle than the Malibu shampoo and is perfect for toddlers or those with really fine hair. Use right after swimming or regularly during the summer if you are swimming a lot. 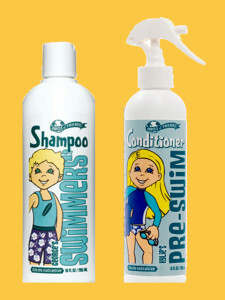 Kylie’s pre-swim conditioner is great for pool swimmers, just spray in and comb through before jumping in. We also offer an in-salon Malibu Treatment that naturally removes chlorine, minerals and salts. Who needs a Malibu Treatment? For kids with longer hair that swim multiple times a week, a Malibu Treatment once a month can really help reverse and prevent damage. For the casual summer swimmer, getting a treatment before back-to-school is a great way to ensure healthy, soft hair and restore moisture before that fall dry air and wind makes dealing with snarls and tangles even more difficult. For those who love to play outdoors: The summer wind and sun can be especially damaging to children’s fine, young hair and scalp. A sunburned scalp or hard-to-get-through tangles can take the fun out of summer. 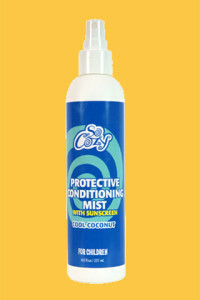 So Cozy Protective Conditioning Mist with Sunscreen is a leave-in conditioner that protects the hair and scalp from the harmful effects of the sun. Perfect for a day at the beach or the playground. It also keeps hair silky, smooth but doesn’t weigh it down. Always putting long hair in braids or ponytails before going to the park or playing sports will help cut down on the time it takes to comb through too. Using the right products and combing habits can only do so much, summer is just really hard on hair. If your child’s hair is looking dull, is dry and seems like it is tangling easy, come in for a Conditioning Treatment at Kids’ Hair – an in-salon “Miracle Repair” treatment that restores strength, shine and moisture, repairing the damage from sun and wind and making hair much more manageable and healthy looking.